BBC Radio 4 - The Food Programme, 2012's Best "Big Food Ideas"
2012's Best "Big Food Ideas"
Sheila Dillon meets finalists in the BBC Food and Farming Awards, offering ideas for our food future, from making more local food available online to redistributing spare food. 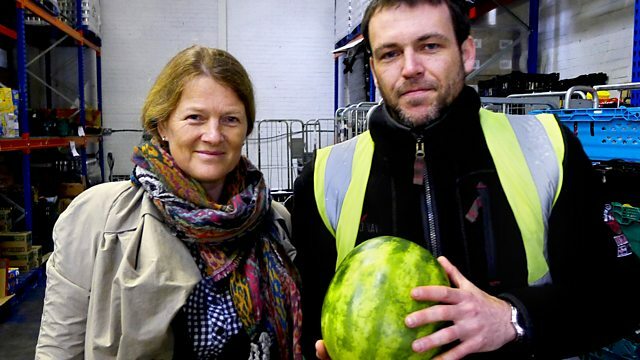 Sheila Dillon meets finalists in the BBC Food & Farming Awards offering ideas for our food future, from making more local food available online to redistributing spare food. Joining Sheila to explore these ideas are Kath Dalmeny, research director of Sustain, and Christine Tacon, former CEO of the Coop's farms. Under discussion are Growing Communities in East London, Riverford Organics in Devon, Cornish Food Market, The Real Bread Campaign, and Fareshare. Sheila Dillon and Valentine Warner present the 13th, annual, BBC Food & Farming Awards.